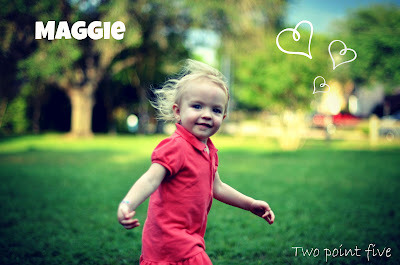 Last month Maggie turned two and a half. How is that possible?!?! Why and how are my kids growing so fast? Seriously... STOP! I want them to stay little forever. Back to Maggie... So what is Maggie doing at 2.5?? Oh Sweet Maggie Rose, we love you so much!!! You are such a blessing! We can't imagine life without you! Thank you, Lord for blessing us with Maggie!